Predawn paddle on shimmering seas. I float with the sea. The sky envelopes me. A baby bat ray dances, his ‘wings’ like tiny shark fins breaking the surface of the water. He swims toward me–another morning gift– and after a brief exchange of glances, he dives beneath my board and gracefully undulates toward deeper waters. Blue-footed boobies dive for his breakfast. Their aqua colored feet always surprise me. A pelican flotilla glides inches from the sea’s surface. How can they hold steady so close to the water? I am so blessed to have these moments .. and thank you for letting me cryptically share them with you. Loreto in the early light. 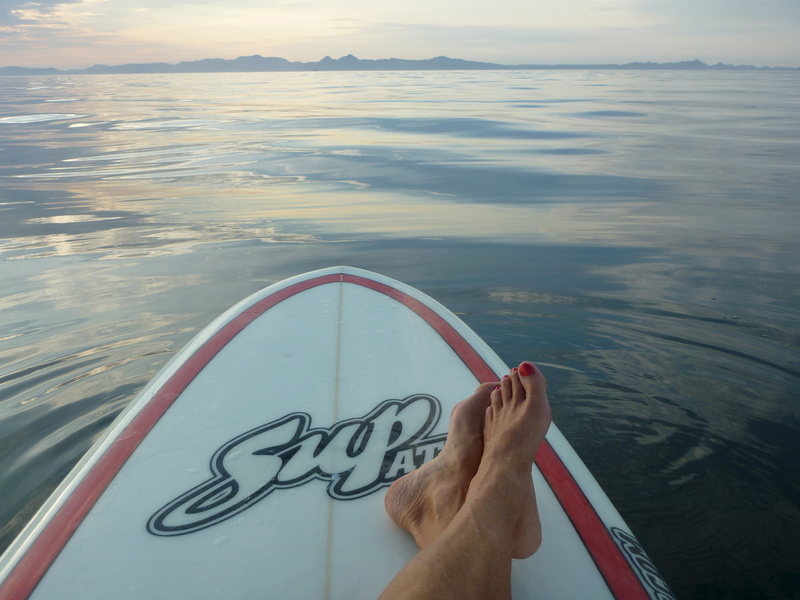 This entry was posted in Baja Living, Casa de Catalina, Loreto, Sea of Cortez, Sunrises, SUP. Bookmark the permalink.